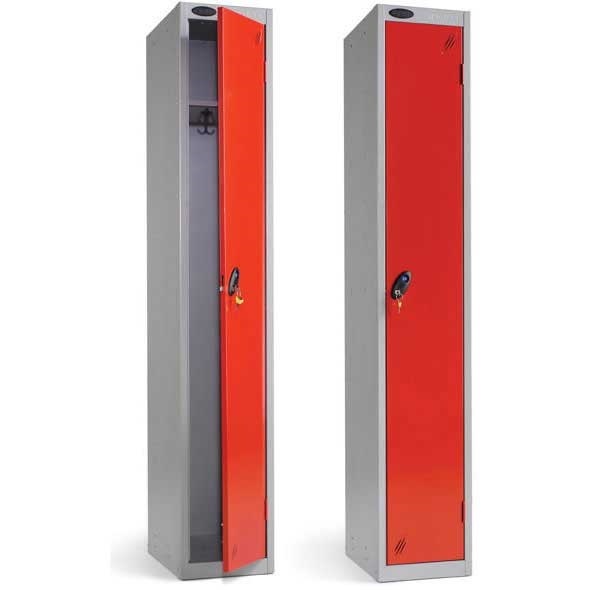 When it is required to provide a safe and secure environment for employees or customers to store their possessions, such as coats, clothing, bags or equipment, you can rely on the Probe single door locker. 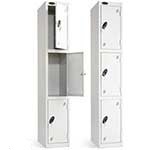 A robust construction, this single door locker has security at the heart. 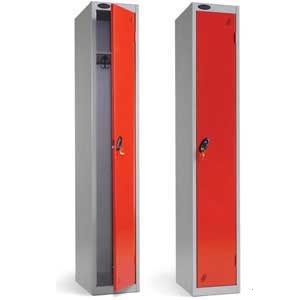 It comes with a 3000 variant cam locking system, with two keys and the door is affixed with the help of a 5 knuckle hinge and is strengthened for extra security. The single door locker measures 1780mm high with a compartment height of 1650mm giving ample storage space for all the users’ belongings. 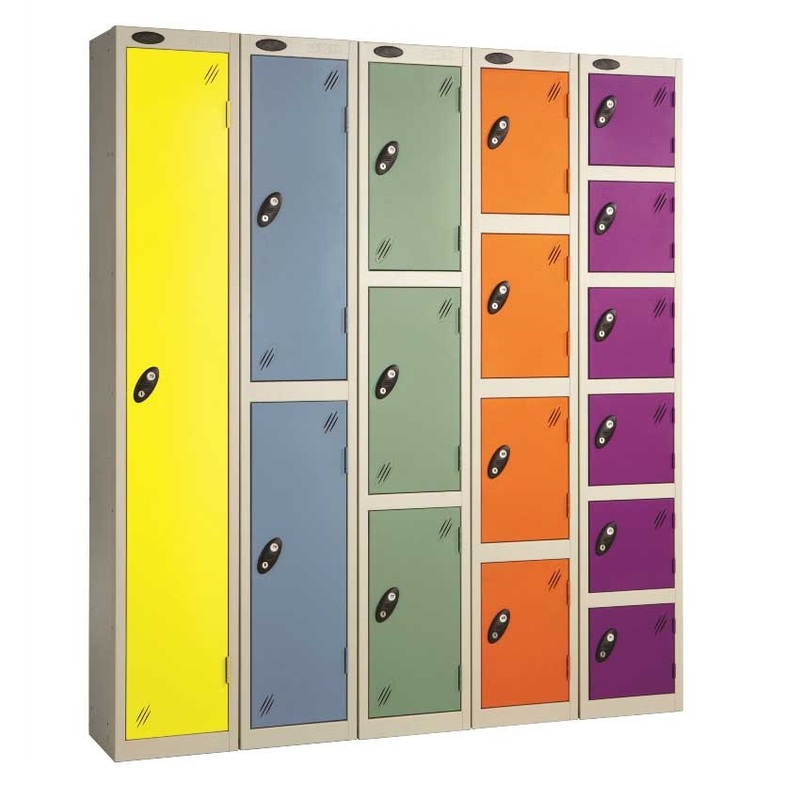 With a top shelf and double coat hooks mounted on the rear wall of the locker it’s easy to keep clothing organised and tidy. 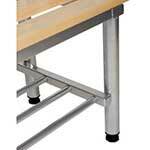 There is a vent placed within each door to maximise air flow and reduce odours. 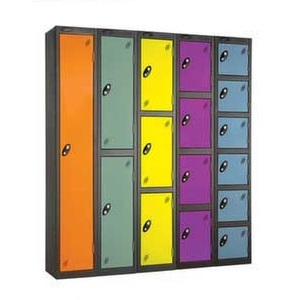 The Probe single door locker is available as a stand-alone single locker unit, however, a nest of two or three lockers are also available, making it simple to build a wall of lockers for multiple users. 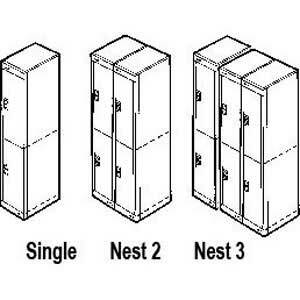 Both of the single unit and double nest options come in five different sizes, with four size options for the triple nest, so you can choose which size best suits your requirements. 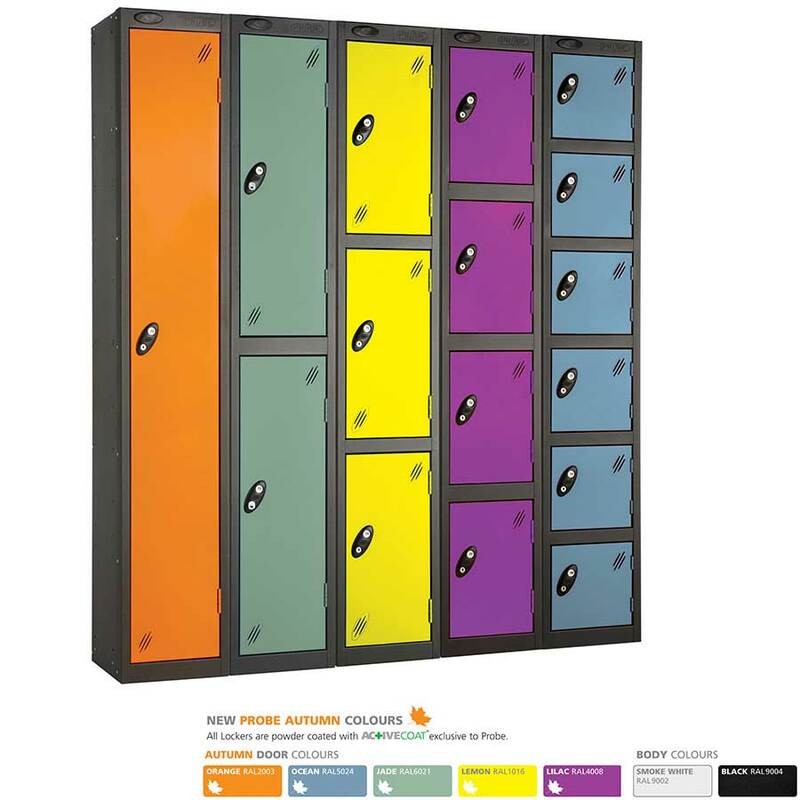 The single door lockers are available in a wide range of colours, including the new Probe Autumn colours, giving you flexibility to choose from a traditional or more contemporary end result. 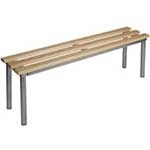 P701218N2/BLUE/SILVERGREY - Very good quality, extremely good value!